Almost 1.3 million passengers used the services of the local operators from January to March. 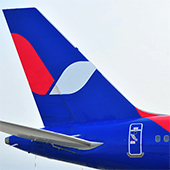 International traffic grew 8.7% to 1.1 million passengers. 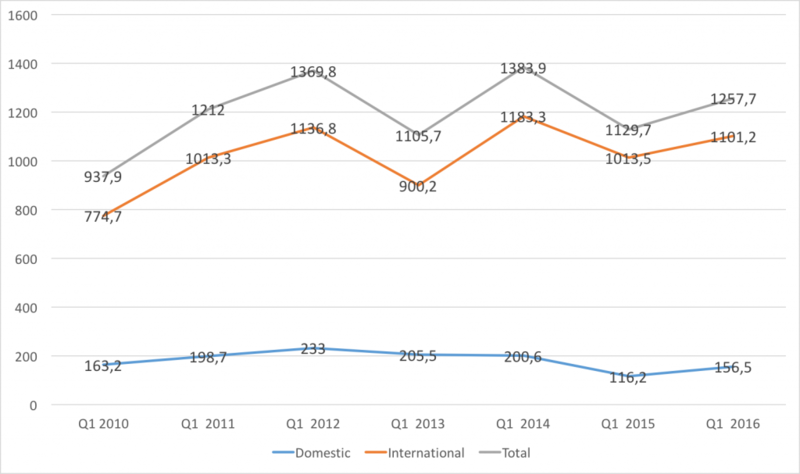 In 2016 so far, Ukrainian airlines’ traffic continues to climb after a 3% decline at the end of 2015. Ukrainian traffic demonstrated stale growth from 2009 to 2013, and went into a dive after that. 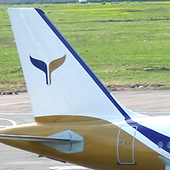 In 2015, the traffic hit the 5-year low, faced with a 22% decline compared to 2013 results to 8.1 million passengers. Airports lost 29% of their traffic compared to 2013 results. The Open Skies agreement between Ukraine and US came into force in January 2016. 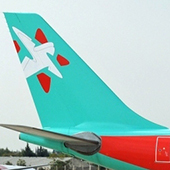 The Open Skies agreement with the European Union had been expected to be signed in 2014. 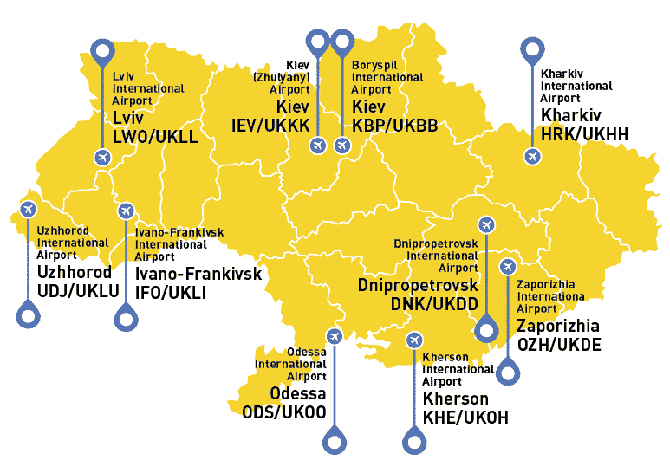 Ukraine has unilaterally introduced the Open Skies regime at the Lviv and Odessa airports, and may additionally remove current restrictions on foreign carriers operating to other regional airports.